We’re a geeky team determined to tweak the next coolest thing. We combine creativity with good common sense to provide you with crafty solutions that work for you. We’ve built up our business around our point of sale software for retailers. Our software solutions do a lot of what you need and can be customized to meet your exact needs. 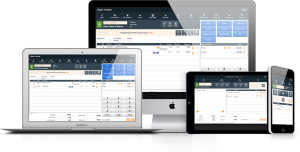 This is powerful retail business management software! It does so many things, you might think it’s a bit freakish. However, it is awesomely brilliant! PayGo is clean, friendly, and super simple to use. It’s a great point of sale system that is Macintosh and Windows compatible. PayGoCart is that super solution you need. It allows you to integrate inventory, departments (categories), vendors, customers and orders with your WooCommerce (WordPress) website. No double entry! You control your cart from ONE SPOT! PayGo WebDirect is our Cloud-Based solution for Independent Retailers looking for a multi-store, real-time point-of-sale system. It’s great for pop-up, seasonal and/or traveling stores too! If you have unique needs, that’s great! We can customize PayGo WebDirect for you. This FileMaker Go based app lets you run circles around your competition by letting you run in circles around your store spot-checking inventory and checking-in new orders. It works with PayGo and it makes your life easier. Wouldn’t be great if your consignors could enter their own products and monitor their sales from their own computers? PayGoConsign is a self-service product portal. It empowers you, so you have the power to empower your consignors! PayGo EM is a service that allows you to send simple, verified, html-based (luddite translation: fancy-looking) receipts to your customers when they checkout at your store. This is another way to build on your store’ brand. PayGo MC makes connecting with your customer base easy (or should we say, EZ). With it, you can manage MailChimp from PayGo. Your marketing list will automatically update as you run your business with PayGo. PayGo MK is dedicated to making marketing easier by using powerful tools to improve how you get through to your customers. This service empowers you to build your customer base.